You can select a plan that covers only prescription drugs. You can add prescription drug coverage to your Medicare Advantage plan. If you receive Part A or Part B Medicare benefits, you also qualify to receive Part D prescription drug coverage, regardless of the state of your finances. However, your income is a factor when determining the coverage and cost of your specific plan. The number of drugs you take or the presence of pre-existing conditions does not affect your prescription drug plan. You are not obligated to opt in to Part D coverage. Do your current or former employer or your union benefits provide a better prescription drug plan? If so, you can forgo Part D enrollment and opt in to the superior plan. If you do not currently take prescription drugs, you can still enroll in Part D. This ensures that you are covered if and when you need prescription medication. Simply choose the plan with the lowest premiums from a carrier that offers coverage in your area. Medicare offers two options for prescription drug coverage. The PDP option provides the policyholder with prescription drug coverage only. The PDP plan is a stand-alone prescription drug benefit. This option is designed for seniors who utilize other health insurance options or the Medicare Private Fee-for-Service (PFFS) plan. Or, you may prefer the Medicare Advantage-Prescription Drug (MA-PD) plan. The MA-PD plan combines prescription drug coverage with medical services. Prescription drug benefits vary by location. And, the policyholder purchases a plan from a private Medicare-approved insurance carrier. Therefore, you must shop around to find the best policy for you that is offered in your area. When you turn 65 years old, or if you are under 65 and disabled, you are eligible for Medicare, including prescription drug coverage. On your 65th birthday, you automatically qualify for and can enroll in a plan. The standard enrollment period for Part D is between October 15 and December 7 of each year. You can join a plan or make changes to your existing plan for the following year during the enrollment period. If you need to unenroll in Medicare Advantage, however, you must do so between January 1 and February 14. Congress has placed certain restrictions on the premiums charged by Part D plan providers. The governing body stipulates that recipients of Part D would pay 25 percent of the cost of their medications during the initial period of coverage. However, plan providers set the price for their products. Different insurance providers can determine how these costs are calculated. Therefore, premiums can and do vary between plans, locations and companies. Regardless of your location or choice of plan, your income is used to calculate what you will pay in premiums for your Part D coverage. Each insurance provider sets the premium for their plans. The Medicare Advantage plan does not charge an extra premium for prescription drug coverage. Premiums for prescription drug coverage are paid on a monthly or yearly basis. However, if your income exceeds a specified limit, a surcharge is assessed, in addition to your premium each year. You will pay the Part D surcharge for your coverage if your adjusted gross income, as reported on your tax return, exceeds: $85,000 per year for a single filer or $170,000 per year for joint filers. The surcharge is paid directly to the Medicare program. You may be required to pay the surcharge, even if an employer or union provides your prescription drug coverage. If your employer or union receives subsidies for prescription drug benefits, you may not be responsible for the surcharge. With each plan comes an annual deductible, which you must cover out of pocket. Once your deductible is covered, your plan kicks in, with full benefits. As you approach 65, you will probably begin to receive promotions from insurance companies that offer Medicare plans in your area. Additionally, you can check the literature provided to you by the federal Medicare program. A list of qualifying insurance carriers is provided on the back of the “Medicare and You” brochure. Plans available to you will vary. So, you must do your research to find out each plan’s details before you select a plan. Remember that when you select a plan, you must continue with the plan for the year, or for the remainder of the year, if you are newly eligible. To compare plans, create an inventory of the drugs you take on a regular basis. The most significant cost to you will be the out-of-pocket charges for your medication, and not necessarily the premiums or copays for the plan. Next, access the Medicare site and use the online tool to compare Part D plans in your area. Use the Medicare online tool to quickly compare plans. Select the “Find Health and Drug Plans” option on the home page. On the search page, enter your ZIP code and the names of each of the drugs you take. Include the frequency for each drug, and then submit your search. The tool will return plans that you qualify for in your area, along with your copay for each of the prescription medications. This tool provides a breakdown of your anticipated monthly and yearly expenses for plans in your area. You can also request this information by calling the Medicare support line at (800) MEDICARE (633-4227). Request to have your report sent to you via email or standard mail. Even if you are already enrolled in a Part D plan, you should access the online tool at least once per year. This allows you to compare your plan to other ones offered in your area; Part D benefits can change each year. Covered medications, copays, premiums and other factors can fluctuate. This means that the plan you have this year may not be the best one for you in future years. Spend a few minutes comparing plans with the online tool each year to find the best plan for the best value. A monthly premium – If your plan assesses a premium, you will be billed for this charge each month. An annual deductible – Your deductible is the amount that you have to pay out of pocket before your Part D plan starts. This amount varies by plan and company. However, the federal government limits the amount that can be charged to plan holders. The limit for 2015 is $320; this changes to $360 in 2016. A portion of the cost of medication – You will be required to pay a portion for each prescription either: 1.) a percentage of the total cost; or 2.) a copay until the total cost of your medication exceeds an amount specified by the federal government in the initial period of coverage. In 2015, this amount is $2,960; in 2016, it increases to $3,310. Note that the same insurance company likely charges a different copay for each of the medications you take. Each insurance provider negotiates their own deal, with each specific drug manufacturer. Their pricing is reflected in the cost passed on to you. Some companies may offer a very low copay for the same drug, while another company will charge a high copay. A percentage of donut hole costs – The coverage gap, also known as the donut hole, occurs when the costs of your medications exceeds the initial limit for coverage. For generic drugs, the 2015 cost is 58 percent; it increases to 65 percent in 2016. . For brand name medications, the costs for both 2015 and 2016 are 47.5 percent. The coverage gap ends when costs exceed $4,700 in 2015; in 2016, this increases to $4,850. Catastrophic care costs – After you are out of the coverage gap, you can expect to pay no more than 5 percent of the cost of your prescriptions for your policy’s catastrophic coverage period through the end of the year. If your income is below a certain level, or if you already receive full Medicare benefits, you may qualify for the Extra Help program. The Extra Help program provides assistance to Part D recipients who cannot afford to pay the supplemental costs for medications. More information for this program can be found in Medicare publications and on the website, Medicare.gov. You can also visit the Medicare website for more information about Part D benefits, in general. Use the online tool to find plans in your area. Take some time to compare the prices offered by each plan for the drugs you take. By spending a little time researching your options, you can find the plan that is right for you. You may also want to check out this website, HealthNetwork.com. 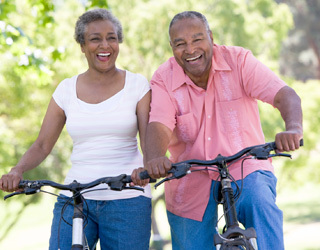 Here you can explore a variety of Medicare Part D plans in your area.